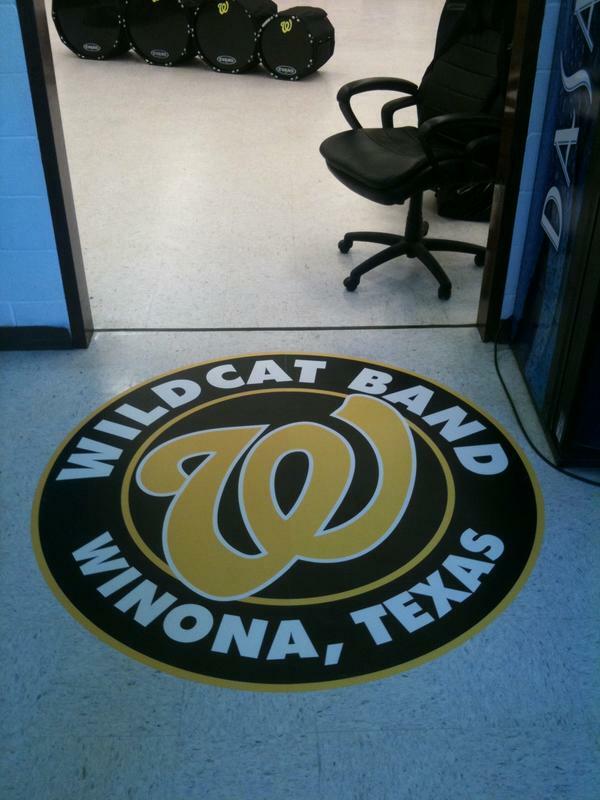 Floor Graphics in Garland, Plano, Richardson | Sign Authority, Inc - Sign Authority, Inc.
We are willing to bet you are currently overlooking one of the prime advertising opportunities for short or long-term advertising for your business, organization, or event. Sign Authority can give your retail store or business location a professional look by creating and installing a custom vinyl floor decal or graphic. 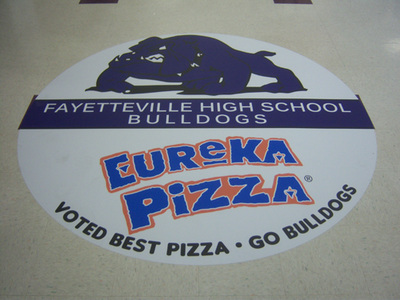 Floor graphics can be small advertisements produced in creative shapes or large full coverage custom graphics for an even greater eye-catching installation. They are perfect for in-store promotions and sales, way-finding, manufacturing facilities and more. Our floor decals are 3.5 mil thick. That makes them durable enough for foot traffic but won’t cause a tripping hazard for your customers. We use an OSHA approved skid proof laminate. This protects pedestrians against slipping and falling. They last a long time. 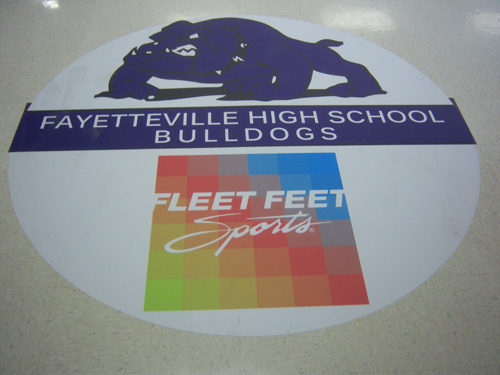 Our custom, digitally printed floor graphics can last up to 5 years with proper care. They are suitable for interior and exterior use on a variety of surface types. 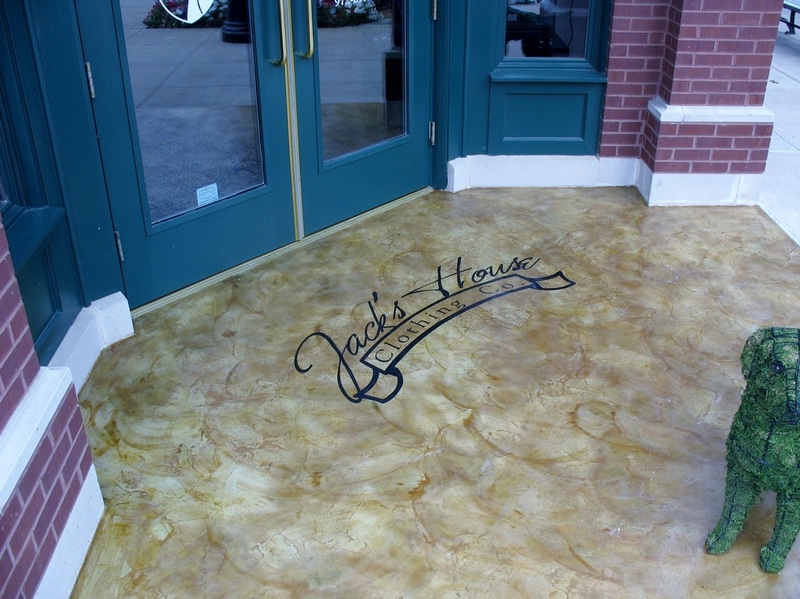 While most commonly installed on interior hard surfaces, we also offer products that can be installed on exterior surfaces, such as sidewalks and even rough parking lot asphalt. If you have a carpeted area that you’d like to add a short term graphic to, we even offer a purpose designed product for that application as well! Maximize your advertising space with custom floor decals. 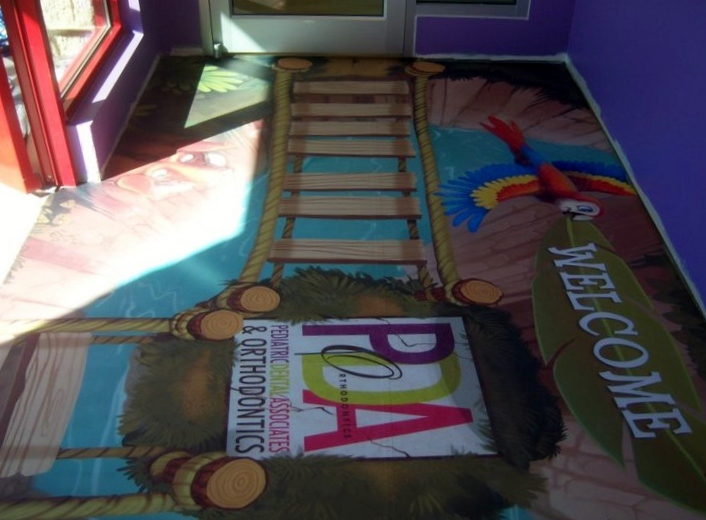 Imagine all the possibilities that floor graphics can give to your company by enhancing the overall decor of your floor space. 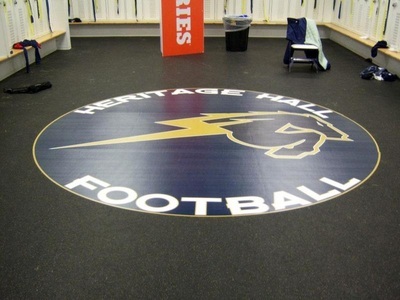 Floor decals and graphics literally can't be overlooked. People tend to look to see where they are going and a big splash of color in a high traffic area will definitely draw attention! 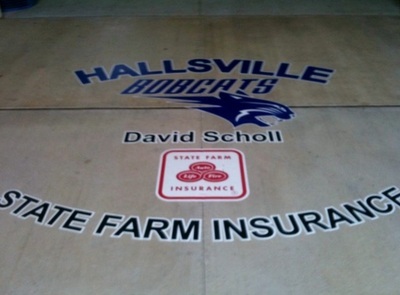 How much do floor graphics cost? $10 per square foot. 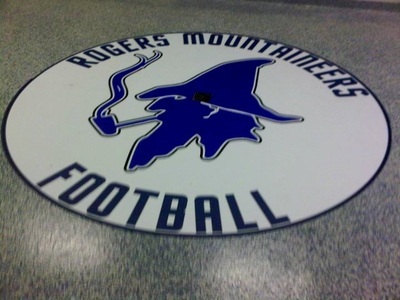 For example, a 4'x4' graphic would cost $160. Will floor VINYL hurt my floors? 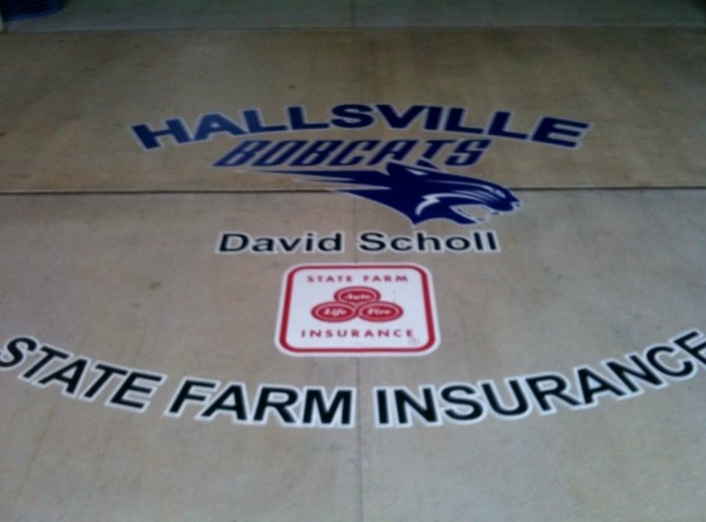 Just like our vehicle wraps.....floor graphics are designed to be durable, but the adhesive will not hurt your floors.